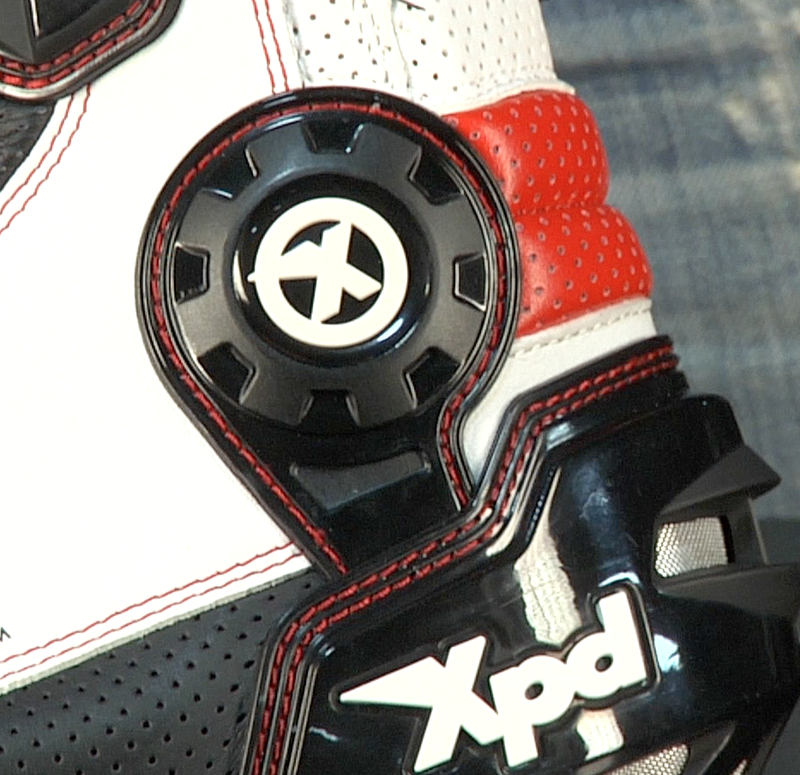 The Spidi XP7 WRS Boot is Spidi's flagship boot and designed to go toe-to-toe (get it?) with many other high end motorcycle race boot makers in the market. 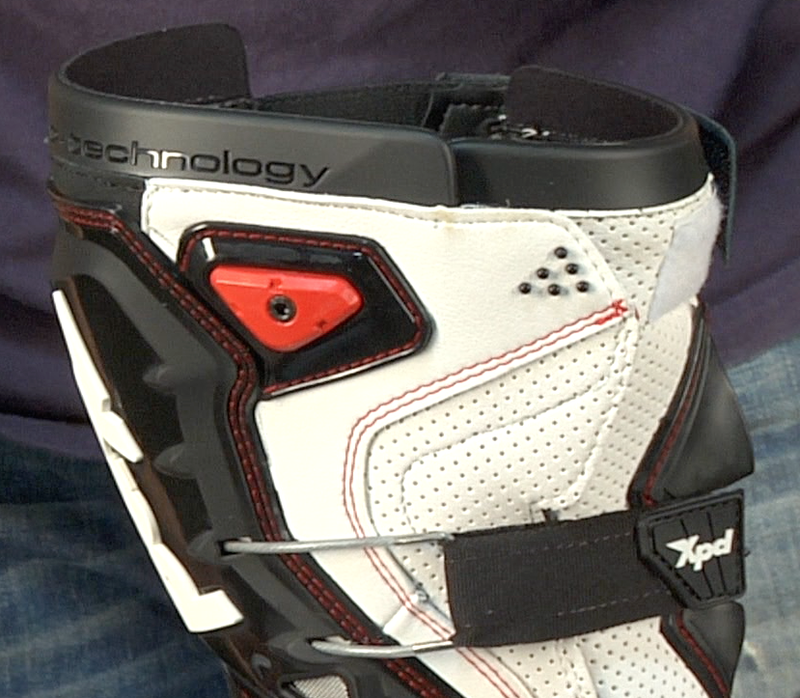 This boot is designed and built for the rider who does a heavy amount of their riding at the track. The XP7 also has a high amount of venting and perforation making it good for those high temperature conditions. This boot is really for the rider hammering down laps, trying to dive in and get a perfect apex through the corner. This XP7 is the more race-oriented brother of the more street focused Spidi XP3-S Boots. This boot offers an outstanding amount of protection and ventilation. The Spidi XP7 WRS boots have every piece of technology Spidi has to offer when it comes down to protection and safety. The toe box is fully reinforced and incorporates a toe shifter on the top of the boot. 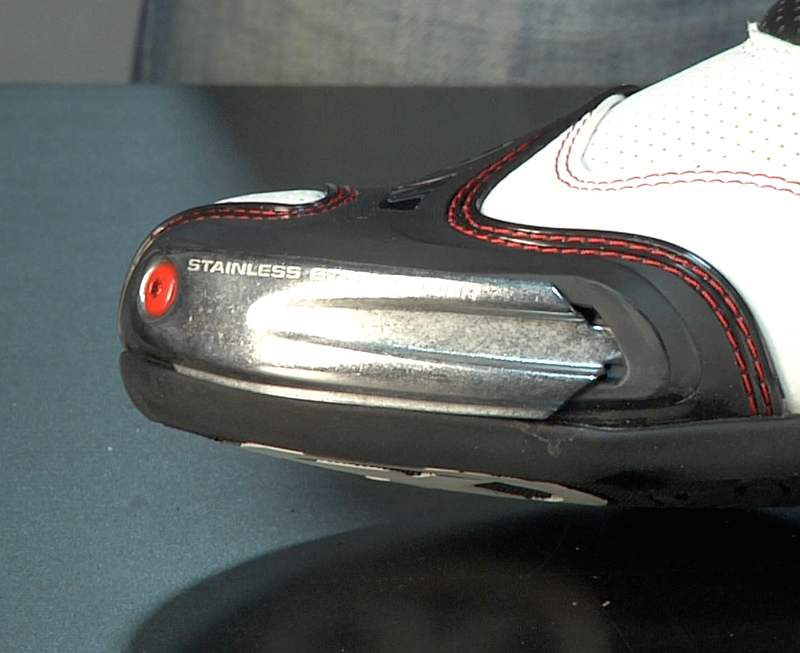 To the outside of the toe-box is a bolted-on and replaceable toe slider. The toe slider is made of full metal to help extend its life and it's bolted on which means that there are no snaps to fumble with and there's no chance of it popping off during a wreck. An exposed rubber shock plate is incorporated into the ankle of the boot to protect the malleolus from fracturing on impact with asphalt; if a 450lb motorcycle lands on it in a low-side crash, the ankle wont get as badly damaged. A plastic fin on the back of the Achilles tendon makes this very vulnerable area a little safer, in addition to providing aerodynamic properties. A hard plastic heel cup provides extra support and protection for the back of the foot which is another very common injury area. A large shin deflector is what makes sure your lower leg doesn't get a direct impact and fracture to the tibia. leather. This makes the boot much more consistent, lighter and more durable then natural leather. Red double impact stitching makes sure the boot doesn't come apart while burning across macadam. A stiff Skywalk sole is also a great feature that adds to comfort and is high-grip and anti-slip. somewhere to escape out of and gives the foot full coverage in terms of breathability. The breathable moisture-wicking liner of the XP7 is designed to be comfortable and flow air and be unhindered. This is known as Spidi's Wind Racing System and is directly taken from the MotoGP level of boots. The Spidi XP7 is a great choice for the rider looking for a very good summer and warm weather track boot in the mid-300 dollar price range. This is simply a great boot for the track days where the the temps are reaching triple digits. Sizes range from 41-47 Euro or 8-13 US.